Dr. Romero graduated as a Doctor of Medicine in Spain and went on to complete his psychiatric training within the NHS North London rotations. In 2002, he became Director of Psychiatric Services for NHP Plc. 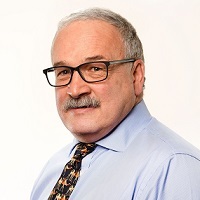 In 2004, Dr. Romero co-founded Cambian Group, which went on to become one of the largest independent healthcare providers in the U.K.
As Group Clinical Director he created Cambian’s unique model of care ‘Active Care’ which was key to Cambian’s success. 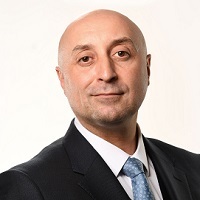 He was assigned Managing Director responsibility for the adult division, before leading a management buyout from Cambian Group Plc to UHS in 2016 and becoming CEO of Cambian Adult Services. In November 2017 Dr Romero was appointed CEO of Cygnet Health Care. Mark is a Fellow of the Institute of Chartered Accountants (ICAEW) and comes from a strong professional background. Having graduated from Exeter University, he spent eight years with Arthur Andersen, in both the Audit and Advisory and Consulting divisions. He moved on to Whitehead Mann Group Plc for six years, where he held the position of Group Finance Director and Company Secretary. Mark joined Cygnet Health Care as Chief Financial Officer in December 2008. He is a statutory director and is primarily responsible for the Finance, IT and Procurement departments. In his spare time Mark is a keen sportsman and enjoys spending time with his family. Mike joined Cygnet following the purchase of the Cambian Adult Services portfolio by UHS in December 2016. Mike is responsible for the operational performance and quality of the Cygnet services. Mike was a founding team member of the Cambian Group and was appointed it’s Chief Operating Officer following the Group’s formation in 2004. He was responsible for overseeing operations and governance, with principal responsibility for regulatory and risk management, as well as overall responsibility for the Specialist Adult Services segment. In 2014 Mike moved to oversee and help rebuild the then recently acquired children’s services, before returning in late 2015 to the adult Division ahead of its sale. Prior to Cambian’s formation, he had been employed by NHP plc from 2001 to 2004 where he was Director of Central Services. 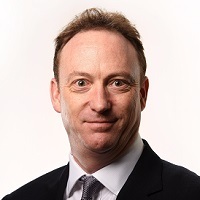 Mike began his career at Barclays plc as a graduate trainee in 1979 where he held a broad range of mainly international managerial positions over a 23 year period. 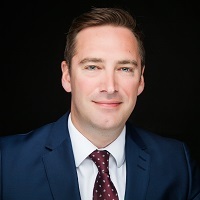 Lee joined Cygnet Health Care on the graduate programme after gaining a 1st class honours in Natural Sciences from the University of Cambridge in 2000. His first substantive role was in 2001 where he was a General Manager for the St Andrew’s/Cygnet joint venture. Since then, he has moved on to commission and operationally manage hospitals at Hospital Manager and Regional Director level, prior to his appointment as Managing Director (South) in November 2008. During this time, he was responsible for a number of hospital ‘turn-arounds’. 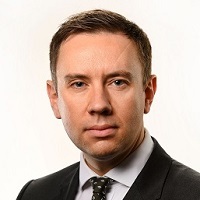 He is currently the Chief Commercial Officer, responsible for managing the company’s vast array of NHS and Local Authority relationships, as well as identifying opportunities for business development and growth. Outside of work, Lee is a keen footballer and has indeed helped Cygnet Hospital Beckton to win the company’s heavily-contested football tournament five times in total. A Registered Nurse for more than 20 years, David has worked across a number of services including acute and mental health. David has experience of commissioning services from within the NHS, which gives him insight into the things that really matter to our service users and clients. David is keen to work closely with Commissioners to build productive relationships that will provide the foundation to excellent outcomes for those in our care. David has a passion for Nursing Leadership, involving patients and residents in the improvement of services, and for patient safety. Jenny began her career in HR in the railway industry, subsequently taking on a variety of HR roles, and building a keen interest in employment law. Moving into healthcare in 2005 with Cambian, Jenny was initially the sole HR person in the group. She was able to put into place systems and processes to support the business and grow the team. As Cygnet's HR Director Jenny has the responsibility and privilege of managing a great group of people who look after resourcing, learning and development, HR operations and projects. In her spare time Jenny loves exploring new places and enjoys skiing and other outdoor activities. 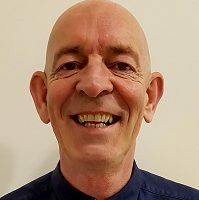 David joined Cygnet Health Care in July 2015 as IT Director, having previously held the position of IT Director for Partnerships in Care Ltd. With a background in Electrical & Electronic Engineering, David has thirty years’ experience in IT across a variety of industry sectors. David spent the first part of his career working in the financial and legal sectors before moving into the private healthcare sector nearly twenty years ago, the last eight of which have been spent in specialist, secure and step down care services. A keen motorcyclist, he once rode from London to Madrid in 24 hours but is now content with a less arduous commute to Sevenoaks. Vicky graduated in Law and worked in retail management before joining Cygnet Health Care in 1995 as a management trainee. In 1996 Vicky was appointed Hospital Director and was promoted to Regional Director in 2001. 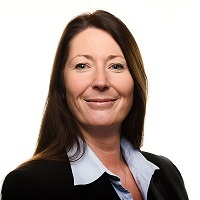 Vicky has been working in her current role as Corporate Governance Director since 2008. Vicky is responsible for monitoring performance and standards across the group to ensure required standards are achieved and exceeded. Vicky manages the Corporate Governance Team who work closely with units to identify risks to quality of care as well as sharing best practice in order to drive continuous improvement. Vicky is an elected Board Member of the national Mental Health Network of the NHS Confederation. Vicky enjoys watching her sons play rugby and spends most weekends supporting from the side line. Anthony is Cygnet’s Finance Director and has responsibility for all management accounts, statutory reporting, budgeting, tax and manages the finance department. Anthony is an FCCA who joined Cygnet Health Care as a Trainee Accountant in 2001 and has had various roles within Cygnet’s finance department since. In his spare time Anthony enjoys travelling and is a keen motor racing fan. Sam is the Managing Director of the Leith Planning Group. 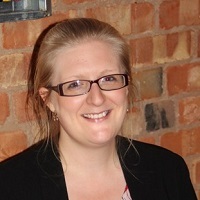 She has worked with Leith Planning Ltd since 2002 and is a full member of the RTPI (Royal Town Planning Institute). Sam has a wealth of experience dealing with central London authorities and both district and unitary authorities across the UK. Sam has advised on projects worth over £180 million pounds and advised celebrities and international property funds on how best to manage planning risk in the UK. Sam’s skillset goes well beyond delivering exceptional town and country planning services. 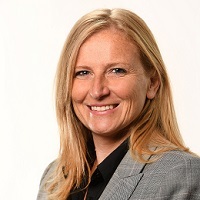 As the Managing Director of the Leith Planning Group she has honed her management skills and developed them into a range of Management Consulting services, aimed at evaluating and implementing management solutions at Strategic Board level positions. Sam has successfully provided this service to a range of companies across the UK. Nick began his healthcare career as a porter in the 1980s before commencing nurse training, qualifying as a RMN in 1988. Nick worked for 15 years in general adult and secure mental health services in the NHS progressing from staff nurse to general manager of mental health services. Since 2003 Nick has continued to broaden his clinical and leadership experience in a variety of settings. He has managed and developed secure mental health and learning disability services, specialist autism services across a care pathway and mental health and learning disability rehabillitation services. 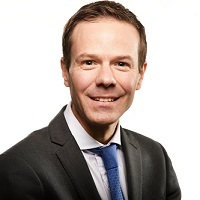 Nick was appointed Managing Director of our Healthcare Division in October 2018. Peter joined Cygnet in June 2016 as Operations Improvement Director supporting the development and improvement of the quality and operational teams to ensure the delivery of our strategic goals across the company. Peter has worked both nationally and internationally with 20 years’ experience in independent healthcare. Peter trained and worked as a nurse in New Zealand before coming to England in 1991 and held a number of managerial posts in the NHS before joining the independent sector in 1998. 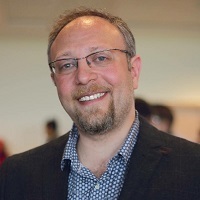 Peter graduated from Kingston University with a BSc (Hons) in Health Studies in 1996 and an MBA in 2003 where he was awarded the Glaxo Smithkline Prize for best healthcare dissertation. He has a broad experience both managerially and clinically holding various posts including Hospital Director, Director of Nursing and Operations Director across his career to date. Before studying medicine Salim completed an honours degree in Chemistry, following which he worked in research which led to publications. He then attended medical school and graduated as a medical doctor in 2004 having trained in the Caribbean, New York and London. Salim is a specialist in General Adult and Addictions Psychiatry. He initially joined Cambian in March 2017 as a Consultant Psychiatrist. 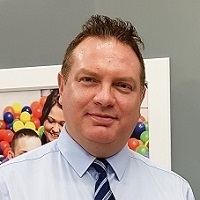 In May 2018 he became Cygnet's Regional Medical Director for the North. Prior to working for Cygnet Group, he worked in the NHS for over 10 years. In his spare time Salim is a keen published photographer, traveller and amateur track racer. 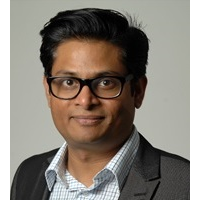 After working as a consultant psychiatrist in forensic mental health services in England and Wales, Sri joined our organisation in April 2015 as Consultant Neuropsychiatrist to launch inpatient Neuropsychiatry unit, The Heathers. He was instrumental in developing the transitional community Neuropsychiatry service and launching Meadows Mews in August 2017. Sri’s international research collaborations resulted in multiple publications in medical and psychiatric peer-reviewed scientific journals. His research interests include violence in hospital settings and alcohol related brain damage. Sri acted as group R&D lead for CAS Behavioural Health from May 2016. Following the merger with Cygnet, he assumed the role of Regional Medical Director for the Midlands region. Jon is the new Regional Medical Director for the South region and a General Adult Psychiatrist. Jon has been a medical manager and Consultant Psychiatrist within the NHS and the Independent sector. Jon graduated from the University of Pretoria in South Africa. He completed his higher specialist psychiatry training in Manchester. Jon was part of the first cohort of Medical Leadership Trainees in the North West Deanery and completed the NHS Graduate Management scheme alongside his higher specialist training. He was a founding member of the Manchester Psychiatry Society and the past national Chair of the Royal College’s Psychiatry Training Committee. 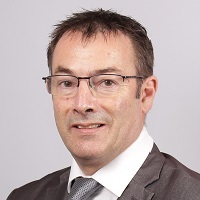 Jon’s main research interests include medical education, leadership development, service improvement and change management within healthcare settings and he has published in the areas of medical leadership, recruitment and training of psychiatrists. In his spare time Jon likes to explore new places, go hiking and is a PADI approved Scuba diver.